Sustainable development presents important challenges to environmental research, such as developing perspectives and methods that clarify the links between societal activities, resource use, and pollution. With this challenge in mind, this book presents examples of the industrial metabolism approach to analyzing regional environmental change and discusses the problems of combining economic restructuring with environmental cleanup. The book is based on the work of two IISA projects focused on environmental development in two regions of Central Europe: the Rhine Basin and the Black Triangle-Upper Silesia region. Among the most important contributions from these research efforts are the analysis of flows and pollution from both a historical and a geographical perspective, and the combination of these studies with analyses of the regions’ social and institutional development. The industrial metabolism approach is introduced and discussed through different types of studies. 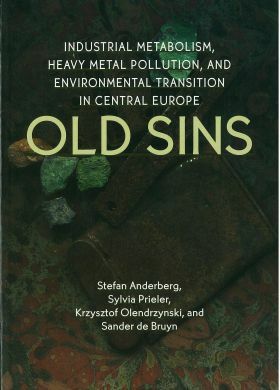 Historical studies of heavy metals in Europe are used for illustration and for discussing how spatial patterns of emissions and deposition have changed over time. The development of the Rhine Basin provides an example of the shift in pollution trends that has taken place in many OECD countries during the past few decades. The environmental risk analysis of the Eastern European region focuses in particular on problems of heavy metal pollution of soils. A flow approach has been used to estimate the emissions and deposition of heavy metals (cadmium, lead, and zinc) over the past 40 years, and the future risks of accumulated pollution are analyzed. In combination with the flow and scenario studies, studies of social, economic, and political developments relevant to environmental development form the basis of a more general analysis of the problems related to the future development of the environment in Central Europe. This book is written for researchers and students with an interest in regional development, environmental studies, transdisciplinary research, or Central Europe. The many overviews and illustrations are intended to provoke discussion about social and environmental development, environmental policies, and study methods. This book provides a valuable framework for seminars and courses in various disciplines. The authors are Stefan Anderberg, Institute of Geography, University of Copenhagen, Copenhagen, Denmark, Sylvia Prieler, International Institute for Applied Systems Analysis, Laxenburg, Austria, Krzysztof Olendrzynski, Norwegian Meteorological Institute, Oslo, norway, and Sander de Bruyn, Faculty of Economics, Business Administration and Econometrics, Free University, Amsterdam, The Netherlands.